"They want to see if they can 'bring it' now, because they couldn't 'bring it' then." How about that for a bit of honesty? 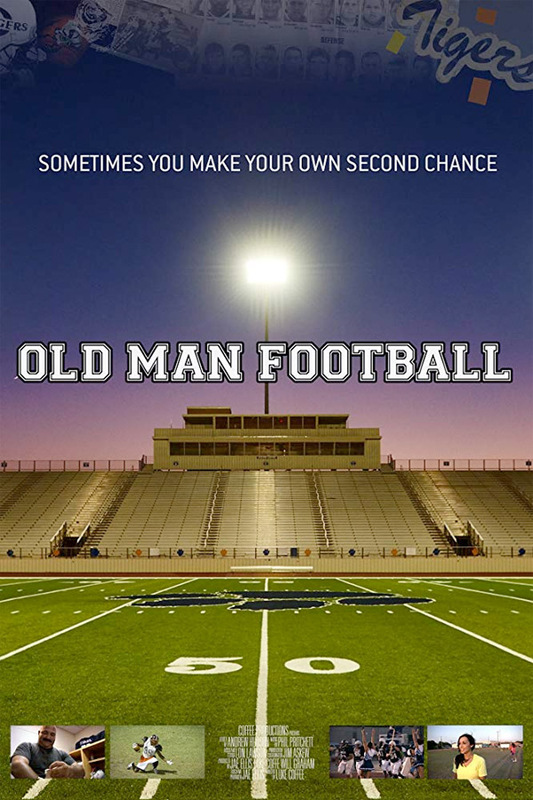 Freestyle Digital Media has unveiled the official US trailer for a documentary titled Old Man Football, which premiered at a few small film festivals last year. The film is about an event in which older men and women returned to Corpus Christi (Texas) Carroll High School to play in an old vs young game and reclaim their past glory on the football field. The doc film presents "multiple stories of personal redemption" following a few various people as they return home and think about their lives back then and where they are now. It seems to be leaning a little too heavy on nostalgia, but also looks honest and heartfelt. Check it out. Old Man Football is a feature documentary presenting multiple stories of personal redemption for a group of grown men and women who return to Corpus Christi (Texas) Carroll High School. These ethnically diverse alumni play, cheer, and dance at a football game pitting players in their 30s and 40s against teenage, recent graduates and other younger alumni. The players honor the memory of a fallen teammate who was murdered at a young age. Relying on their wisdom, work ethic, and 'man strength,' the old guys try to reclaim past glory and to erase various regrets by strapping on helmets and pads in their attempt to relive their glory days on their South Texas high school football field. Old Man Football is directed by American filmmaker Luke Coffee, making his feature directorial debut after working in TV & film and various post-production for years. This first premiered at the USA Film Festival last year. Freestyle DM will release Old Man Football direct-to-VOD starting November 2nd this fall. Anyone interested in this doc?